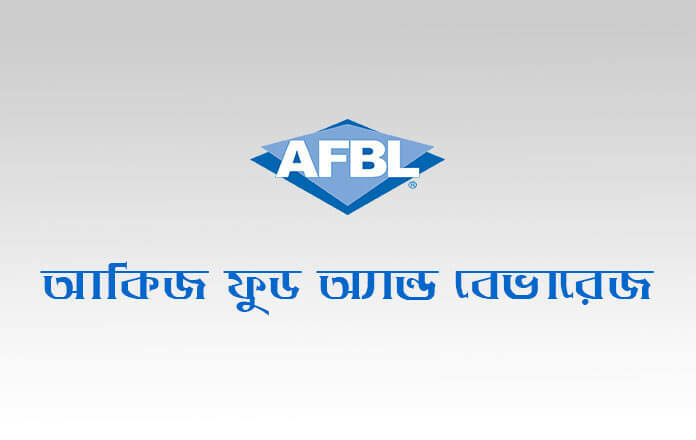 Akij Group Job Circular 2019! Akij Food & Beverage Limited published a new job notification 2019, there is no work experience for apply on this job circular. Akij Food and Beverage Limited has announced the appointment notice. The company will be appointed in the ‘Executive / Junior Executive (Production / Milk Production)’ post. Interested women and men can apply. Graduate candidates can apply for applying chemistry, biochemistry or food nutrition science. Applicants must be at least 26 years of age for the application. The finalized candidates will be appointed in Dhaka. Interested candidates will need to send their resume and other necessary documents to the following address. 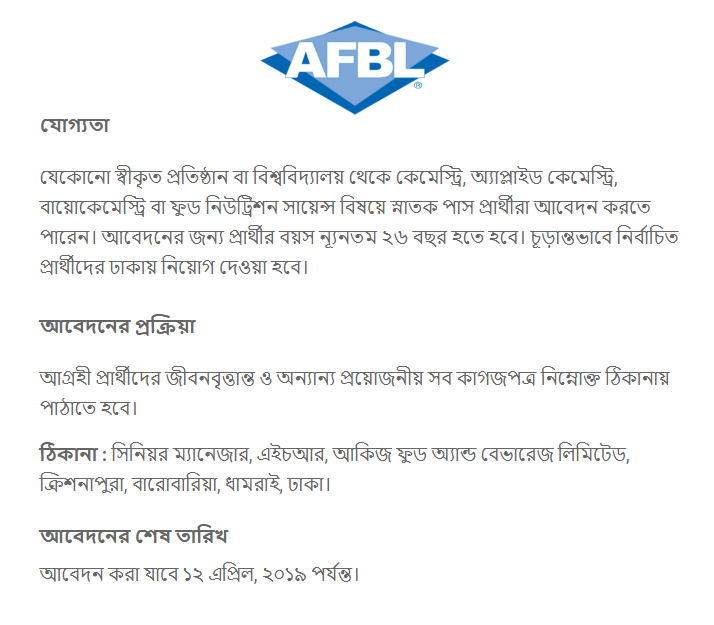 Senior Manager, HR, Akij Food and Beverage Limited, Crisanpura, Barbora, Dhamrai, Dhaka. Company: Akij Food & Beverage Ltd.